The RIVER CAFE COOKBOOKS are a publishing phenomenon, with over a quarter of a million sold. Following a successful pilot on BBC, Rose Gray and Ruth Rogers were asked by Channel 4 to make a series in which they showed how to make some of their fantastic dishes and explained why they cook how they do. 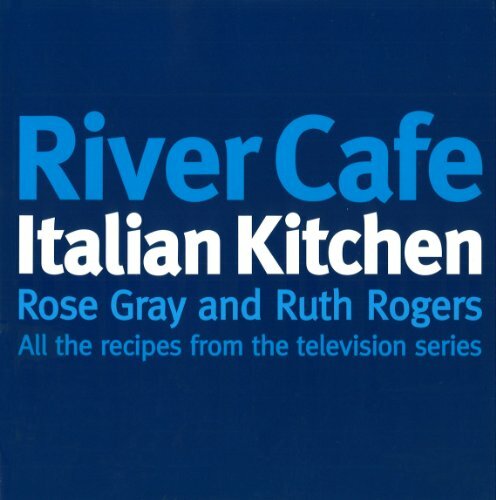 This unique book, which is photographed at both the River Cafe and in Italy, complements the existing cookbooks, contains all the recipes shown in the series 1 and 2 of ITALIAN KITCHEN and provides a platform for the authors to explain the philosophy behind their food with passion and verve.